One month after a New Hampshire woman says she chose all six correct numbers for the lone $559.7 million Powerball grand prize, she has yet to turn in the ticket and the money is lying unclaimed. It’s not that she doesn’t want it. She just doesn’t want the public to know she won it. The woman says she signed the ticket after the Jan. 6 drawing, the nation’s eighth biggest, reports The Associated Press. She says she was just following the instructions on the ticket and on the state lottery website. But a complaint filed last week in Hillsborough Superior Court in Nashua, N.H., says that was a “huge mistake.” And the woman, identified for now as Jane Doe, wants a court order to allow her to collect her winnings anonymously. Maura McCann, a spokeswoman with the New Hampshire Lottery Commission, tells NPR that the state’s Right to Know law allows them to reveal the identity of the person whose name is written on the ticket. But a loophole would let the winner’s identity be shielded if the name of a trust is written on the back of the ticket instead. The trustee’s name would then be the one to be released, and that could be anybody, including a friend or a lawyer, McCann says. But now that the woman has already signed the ticket, it appears to be too late to have a trust collect the winnings. Steven Gordon, the woman’s attorney, asked if she could white out her name and replace it with the name of a trust, reports The Union Leader, but lottery officials told her any change would invalidate the ticket and she’d lose her winnings. In the complaint, Gordon argues that privacy is deeply important to the longtime New Hampshire resident, who wants to use the trust to give a portion of her winnings to charity while remaining “a silent witness to these good works,” reports The Union Leader. His firm says it also represented another Powerball winner who won a $487 million prize in 2016 but remained anonymous by claiming the prize through the “Robin Egg 2016 Nominee Trust,” with his lawyer serving as its trustee. In a blog on the law firm’s website, posted two days after the 2018 drawing, attorney William Shaheen advised the latest winner not to sign the ticket. 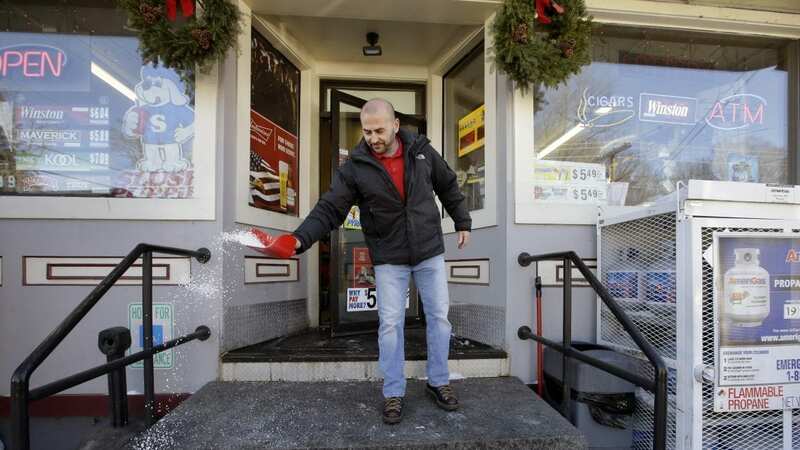 New Hampshire lottery rules state unclaimed Powerball prizes expire after one year.